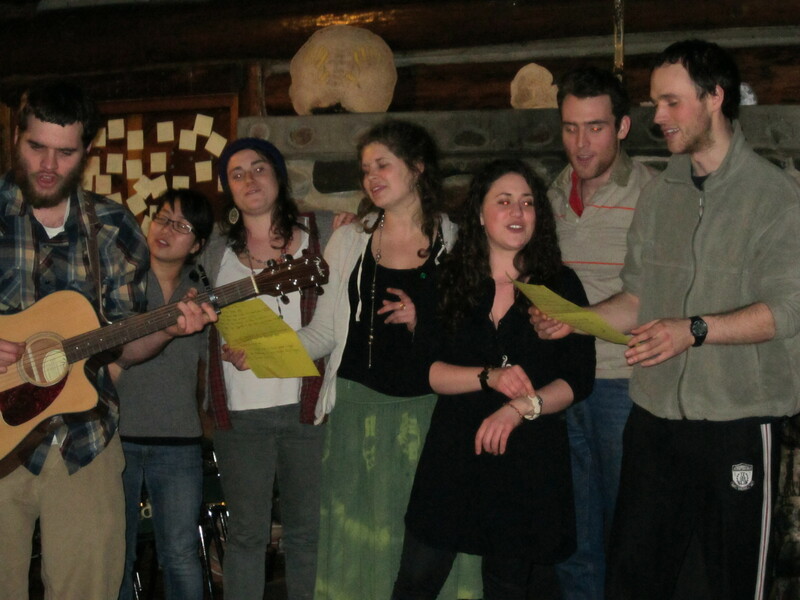 Danielle Bastien, Area Director for Alaska, shares about the most recent Alaska JV retreat, highlighting a performance during the traditional “coffeehouse” segment of retreat. Over the February 9th – 13th weekend, JVs throughout the Northwest gathered for their winter retreats focusing on the topic of social justice. In each region they shared stories from their service placements, delved into the meaning of oppression and how to interrupt it, considered how their faith is connected to service, and brainstormed strengths-based ideas to move forward. While examining systems of oppression is never easy, JVs have the blessing of a retreat space in which to do so while being supported by their peers. Starin’ at the snow and swear to God I see moose tracks. My honey tends the wood stove, I pick the guitar now. But I ain’t goin’ back to livin’ that old life no more. To Anchorage city, oh baby.